Barry is a 9 year old fawn male born in 2008. He was part of the population from the blood bank facility located in Cherokee, TX that closed in November 2017. Barry is being medically evaluated by GALT's veterinarians and will complete all his medical procedures soon. It is not yet known he is small animal or cat tolerant. 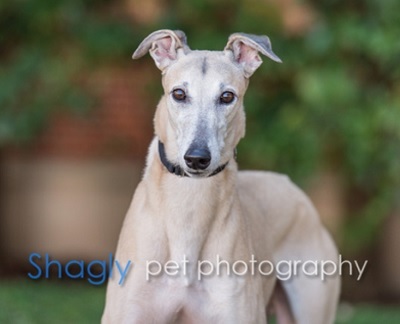 Please check back periodically for updates on Barry as his journey to a forever home unfolds. Barry is a very sweet ex- blood donor who truly appreciates the positive changes in his life style! He has adjusted quickly to car rides, all the noises that home life brings, as well as loving and being loved on by everyone he meets. He's a little stiff at times, so will need to be on a daily joint supplement for the rest of his life, but he doesn't let anything stop him from play-bowing, running with the younger whipper-snappers, and making the most of learning how to toss and shake stuffies! Barry seems to understand what's his and what's not: stuffies are good; things on the coffee table or shelves are not interesting to him at all. Barry doesn't appreciate the dog door, preferring instead to have his foster mom open the back door to let him out (he will let you know when!) but will come back in thru the dog door once it is slightly opened for him. He's a fun boy, very quiet and so affectionate! 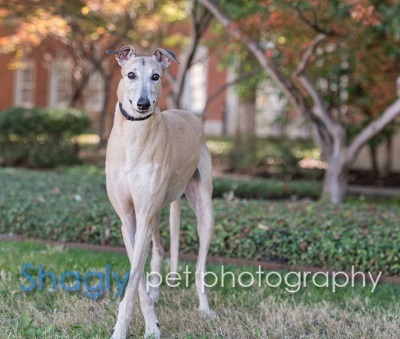 Barry is retired from a life of true service to dogs in need of blood, so now it’s time to spoil him and love him. He will return that love with all his heart.